To understand and appreciate what happens in the end, it is important to review: 1) what God created in the beginning, 2) the significance of imputed sin, and 3) what were God’s divine covenants. 1. In the beginning God created the heavens and the earth, and He created man in His own image, both male and female. God also created angelic beings, and some fell to follow Satan. 2. By God’s holy standard, when Adam disobeyed His word in the Garden of Eden, all of mankind was condemned, and death was introduced. 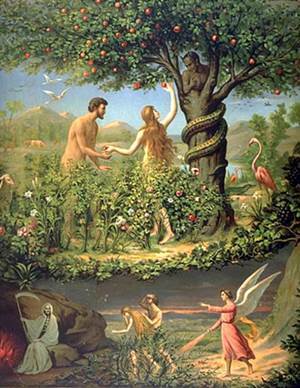 The earth was cursed, and both Adam and Eve were driven out of the Garden of Eden from the Tree of Life. 3. Because of his faith, God makes with Abraham a unilateral unconditional covenant of great blessing and in him "all the families of the earth will be blessed." The promise of land is elaborated with the nation of Israel, the promise of kings is elaborated with David, and the promise of blessinga is elaborated in the New Covenant with His people. What is the Doctrine of Imputed Sin?